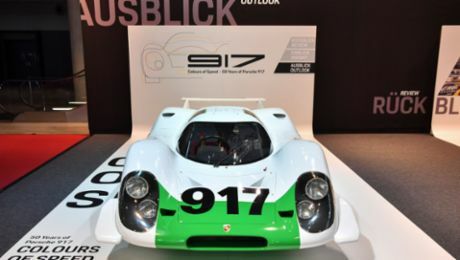 From July 10 to 12, 2014, the Porsche Museum will be racing in the "Ennstal Classic" with several historical sports cars. The race this year will be dedicated to Porsche. The three-day event, which will cover a total of 800 kilometres, offers both drivers and spectators a true festival of classic car driving, comprising a mountain section at the start, tours through the Tauern mountains and a town Grand Prix event. For the first time this year, Porsche AG is the main sponsor of the "Ennstal Classic". Besides the Porsche Museum, experts from Porsche Classic, Porsche Exclusive and Porsche Travel Club will present themselves. The "Ennstal Classic" is one of the most important motor sports events in Austria. 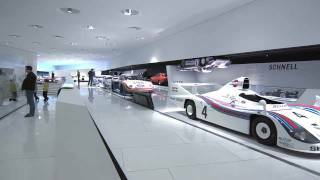 For this reason the Porsche Museum is sending eleven cars from its collection to the mountain region of Styria. Dr. Wolfgang Porsche, Chairman of the Supervisory Board of Porsche AG, Stuttgart, will be racing one of the four Porsche 356 starters. Besides two 550 Spyder cars, there will also be a 911 S 2.2 Targa, a 911 Carrera RS 2.7 and a 911 from the year 1967. In addition visitors and spectators along the route will be able to admire Walter Röhrl, former race driver and two-time rally world champion, in the Porsche 718 W-RS Spyder or Jacky Ickx, the four-time Porsche Le Mans winner, in the Porsche 550 A Spyder at the "Chopard Grand Prix of Gröbming" on Saturday. The current Porsche works and LMP1 driver, Marc Lieb, will then take his place behind the wheel of the Le Mans winning car from the year 1998, the Porsche GT1 '98, for the Saturday final. 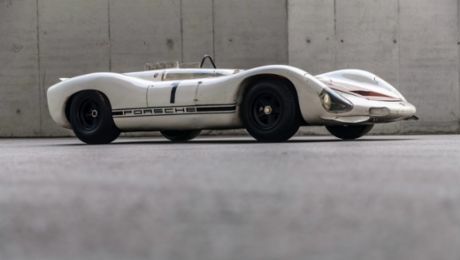 The historical ties between Austria and Porsche go back to the early years of the sports car manufacturer. In 1948, the first sports car bearing the name of Porsche, the mid-engine roadster Type 356 "No.1", was made in Gmünd, Austria. Production of a small batch of Porsche 356 cars was then started in the second half of 1948. After all, 52 units of the Porsche 356/2 which were available as coupé and convertible were hand-built there. Then at the end of 1949, the company decided to return from Austria to Stuttgart-Zuffenhausen due to the temporary state of production in Gmünd. Three days, 30 trials, 1000 kilometres – the 2016 Ennstal-Classic.